It was the early 20th century. 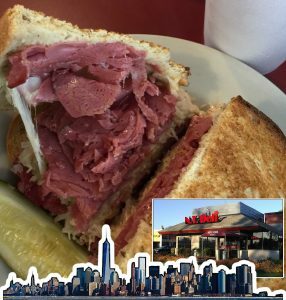 A popular businessman mixed swiss cheese, sauerkraut, corned beef, and Russian dressing over rye. Little did he know that this mix of sweet, salty, meaty, and tangy would be a sensation that persists well beyond the early 20th century and well beyond traditional inner city delis. Of course there is a dispute who the actual creator was. 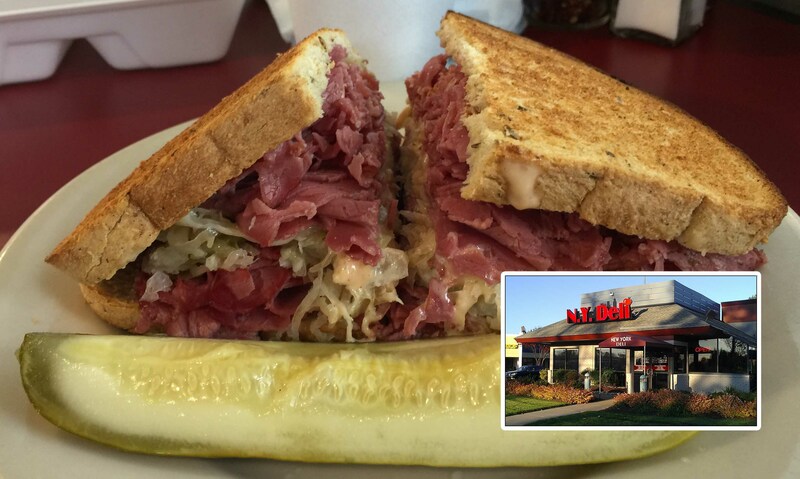 There seems to be more than one “Reuben” mentioned. And I am sure there is more to this deli restaurant saga. Here is what I can piece together from these facts. A person, most likely with some connection to a “Reuben” named person put part of the ingredients of this sandwich together. A few additions were made somewhere creating the modern version of this sandwich. Personally I don’t care. Here is what I think happened. The combination is magical and I think the most important part of the story is execution. Just because you invented it is nice, but can you make it to perfection. And I mean mouth watering over the top bursting with flavor culinary perfection. 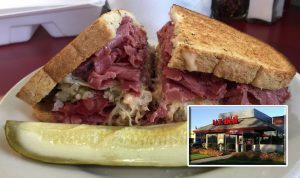 Here is what the founder, or founders had in mind with the famed Reuben. Fresh bread overflowing with corned beef and the right amounts of sauerkraut and Russian dressing. The raw size of this deli miracle is a challenge to any hearty appetite in search of flavor. New York may be a little far but the New York Deli in Lightfoot is not. We are located near everything.